Happenings Around the Homestead – A BIG Week! Sometime between 12-18 months ago I first encountered the Back to Eden film. 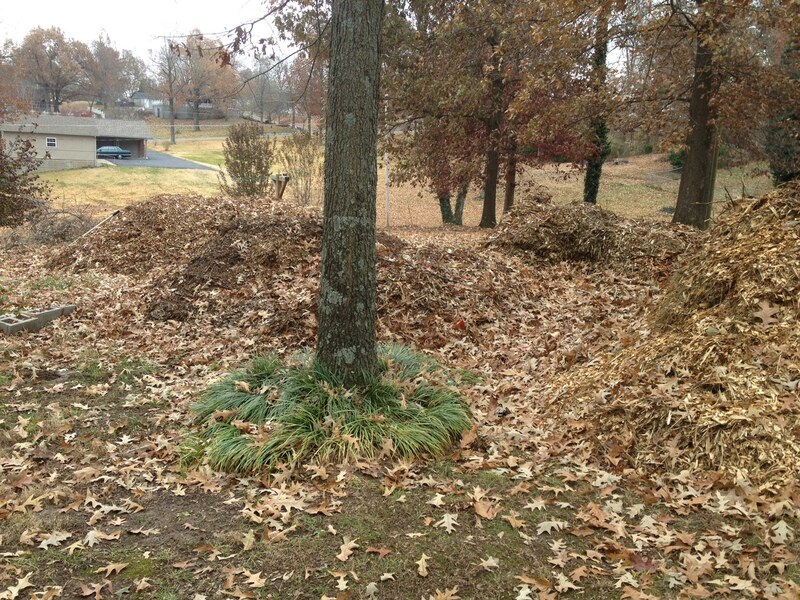 Being unable to find woodchips in time for this past year’s garden, I covered in oak leaves. Though the garden did well, I didn’t fertilize, and it showed. This seems to be essential for good production on year #1. This year I wanted to expand the garden, and began making plans to do so. We encountered a company doing a lot of wood cutting and chipping around power lines in our area. After approaching them about two months ago, they began dumping chips in our yard. We arranged to have a mini front-end-loader to be delivered for our use over Thanksgiving weekend. We finally received enough chips to do our garden the day before Thanksgiving. We marked out the garden space, a 84 foot x 65 foot garden, which is about 10 foot shorter than I had expected, but still a respectable garden area. We spread a very thick layer of oak leaves over most of the garden, a commodity we have in abundance. We started spreading the chips and covered about half of the garden on the day after Thanksgiving. We spread the rest of the chips on the Saturday after Thanksgiving. I thought a few pictures and even a couple of timelapse videos might be nice to document the process better. Here are some pictures of all the wood chips. Crazy, isn’t it? A 5400 square foot garden is HUGE. 😀 Don’t expect the laying of those chips to go fast, even with a machine. The laying of newspaper on the base layer may be essential, but don’t think you are going to do this with even a slight breeze. Three of us totally failed at this. 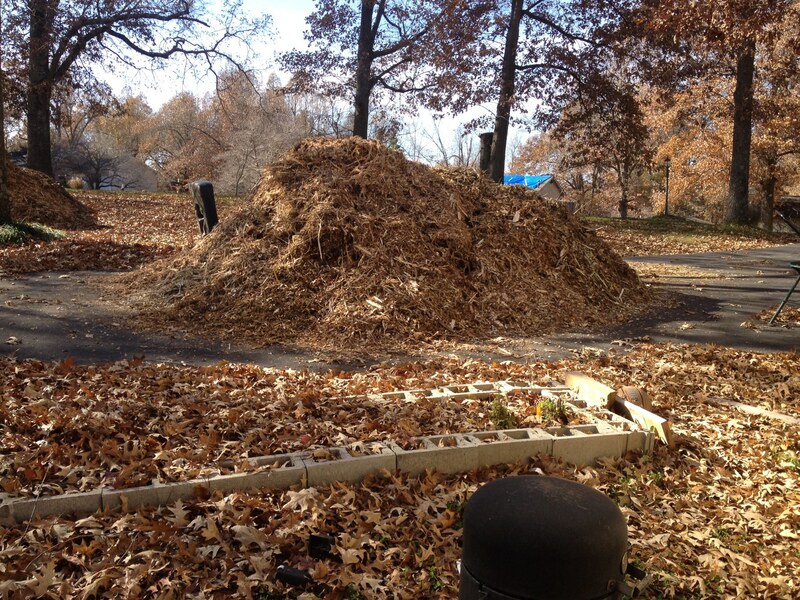 Wood chips begin decomposing faster than you think. 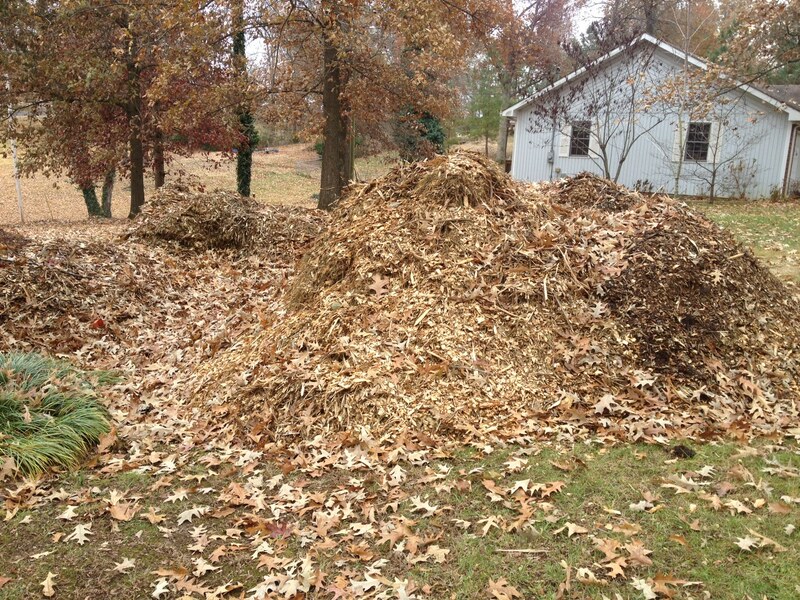 Our two most fresh piles look considerably different than the one from even a couple of weeks ago. We also expected to dig out a stump in the middle of the garden area, and were quickly reminded how strong the stump that came from a mature oak tree is. Wow! Seriously, we couldn’t even budge this thing. I want to give a special shout out to a couple of my friends, one who loaned the front-end loader and one who delivered it. Thanks guys! I also want to say how thankful I am for my two youngest sons who worked tirelessly helping me on this project for two days. I couldn’t have done this without them. This entry was posted in Gardening, Hobbies and tagged in back to eden, back2eden, ground covering, permaculture, project eden, wood chips.